The Salisbury 1 drawer nightstand is made to match the Salisbury bed only and offers a bedside cabinet or nightstand with cupboard space and 1 pull out drawer with brushed chrome pull knob. 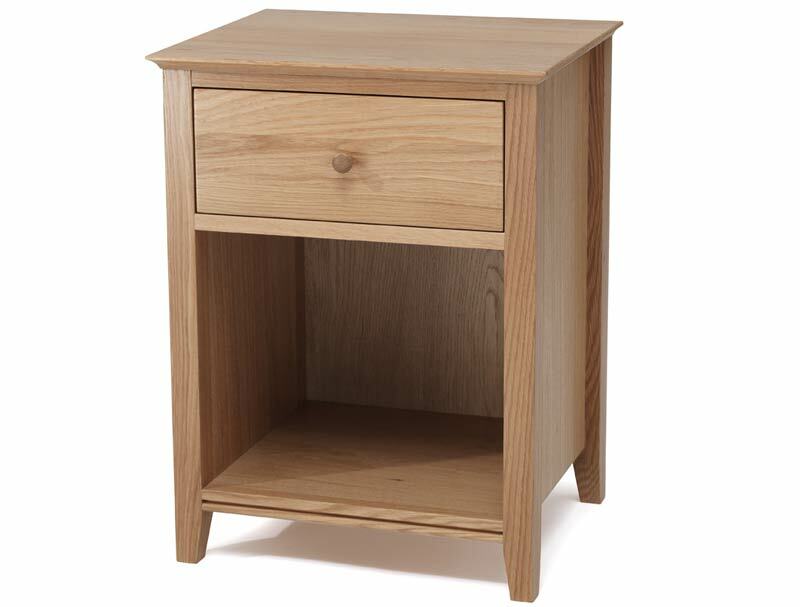 This piece of furniture like all Serene products is sent direct from Serene uk warehouse direct to you normally for next working day delivery free of charge on a 1 man delivery to your front door by tufnells carrier. Please note some postcodes like AB, DD, KW, IV, PA, PH and FK18 + Serene will not deliver to. So they will need to deliver to us and we will arrange onwards carriage to you on a similar service at a cost of £25 per item.